Keyboardr is a new website that gives you a new way to search something. 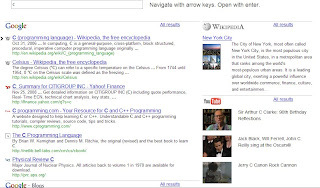 An interesting point is it displays search results at once while you typing, it is not Google Suggest, it is a key word search that is it searched by you type a key. 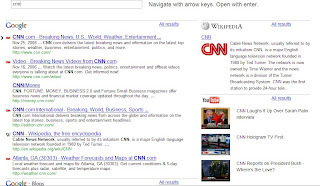 For example, if you want search "cnn", when you type first "c" it displays first results. 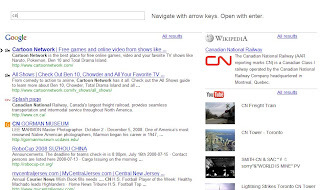 This search site based on Google Search, and also mush up Wikipedia and Youtube. So its results are from these sites. It is really cool feature. You can see these pictures and a video.